Out of Ann Arbor, Michigan Drew Lowder has been making a name for himself in a very talented 2019 Michigan class. Lowder is a fast and athletic point guard who is shooting the lights out while tearing it up this season averaging 25.5 points with 5.2 assists. Lowder is the leader of a very young Pioneer High School team. Standing 5-11, Lowder is great at creating his own space, shooting from deep, finding his teammates, and he loves to get after it defensively. A true floor general who excels at creating in half court sets and in transition, Lowder is on the radar of several Division 1 programs already. The Pioneer HS standout currently holds three offers from Toledo, Eastern Michigan, and Northern Illinois. "I'm real cool with the coaches and they all three have really nice campuses. I'm not leaning towards any one in particular though," Lowder said. Holy Cross, Duquesne, Loyola-Chicago, Central Michigan, Air Force, Wright State, Cleveland State, Miami of Ohio, Oakland, and University of Detroit have all shown strong interest as well but Lowder’s current focus is on the high school side. "Our team’s goal is always to win a state championship. Right now, I'm trying to do whatever it takes to get us there," Lowder said. 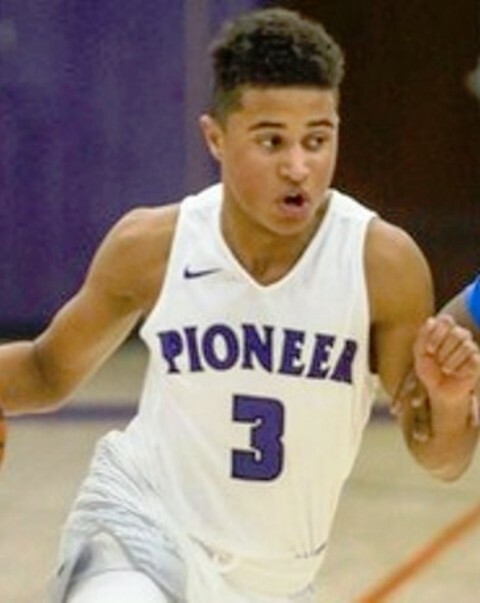 A solid emerging talent whose best basketball lies ahead, look for Drew Lowder to continue his strong junior campaign and then carry it over to the spring where he competes with The Family on the EYBL circuit.